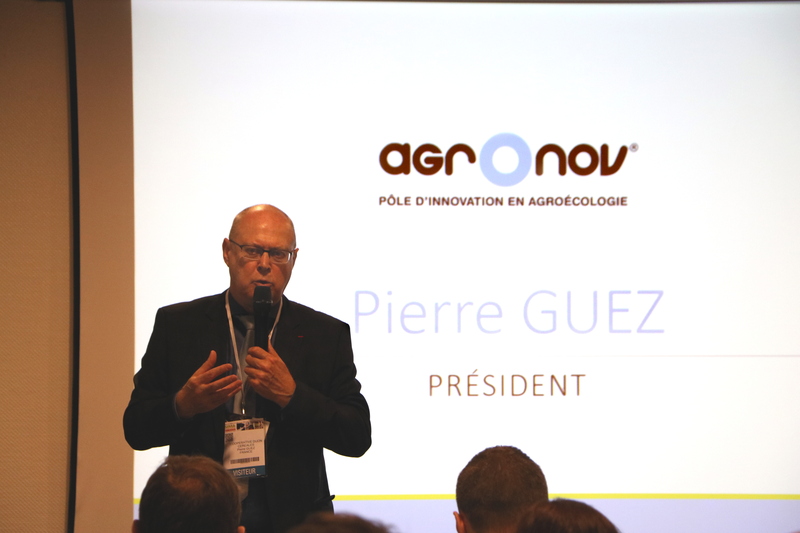 On the morning of 28 February 2017, in Paris-Villepinte, at the famous International Agricultural Machinery Exhibition (SIMA), AgrOnov presented its AgrOtech action in favor of innovation in the field of agricultural equipment and new technologies. 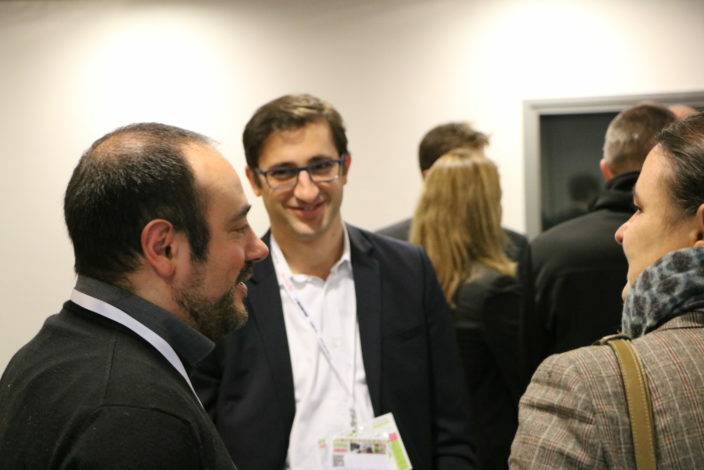 Many companies and investors came to meet AgrOnov, its partners and its experts around the presentation of the AgrOtech action. Program of this day: presentation of the cluster’s strategy and the services’offer for companies related to agriculture, exchanges about the AgrOtech action, company pitches and focus on the international stepping stone that AgrOnov represents for companies. The ambition of the Agrotech action is to set up, in connection with the companies and the economic actors, a favorable environment to AgrOnov to prepare the agricultural systems and equipments of the agroecological transition and this, in the fields of the vegetal productions , viticulture or breeding. The goal of this co-construction project is to assess the real needs of the AgTech companies so as to develop a collective action program that would meet the challenges of professionals and final customers. The committed work has already highlighted areas for development, such as the establishment of thematic groups to bring out R & D projects as well as partnerships. Three companies of AgTech, Deaverde, Quivogne and Page Up, have pitched in front of the assembly and expressed the interest of their partnership with AgrOnov. Place of exchanges, prospective watch, access to financing, multipartnership projects are all reasons that have been identified by these innovative companies. 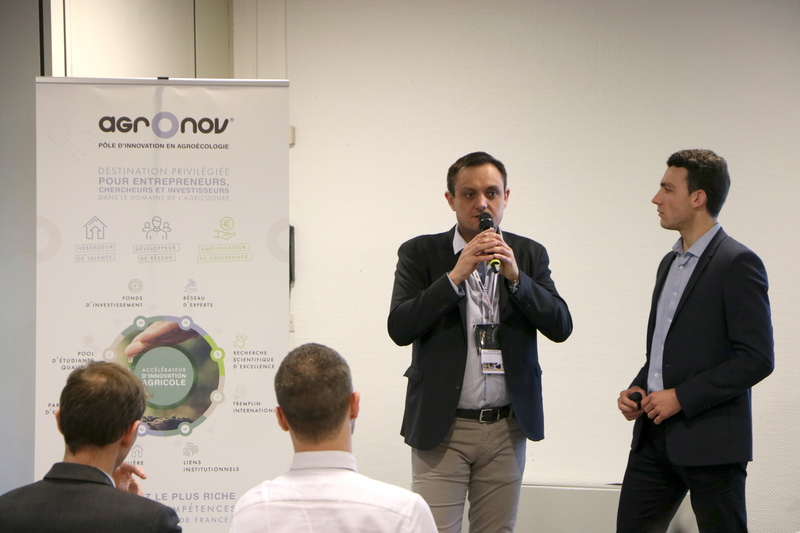 AgrOnov already sets the ambition of its network: ” AgrOnov must be identified as the reference point in agricultural innovation by 2020 in Europe “, announces Matthieu Aubry. It is with this goal in mind that AgrOnov, starting from today, is preparing its presence at the business convention in Saint Louis, United States, from September 11 to 13, 2017. Alongside Business France, AgrOnov will represent France’s agricultural innovation, notably by bringing to the US a delegation of French companies. Relive our Live Tweet !